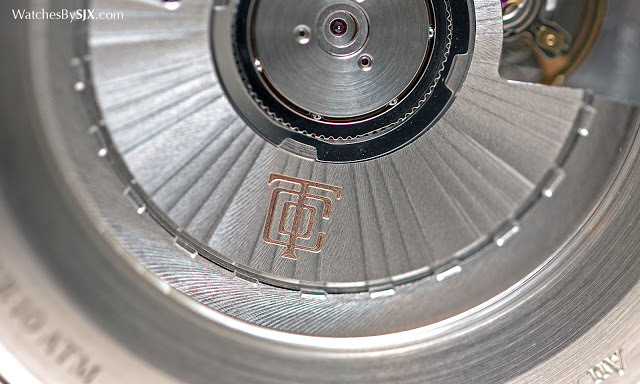 Tiffany & Co. unveiled its flagship CT60 line of mechanical wristwatches earlier this year, the key thrust in its quest to become a watchmaker as well as jeweller. 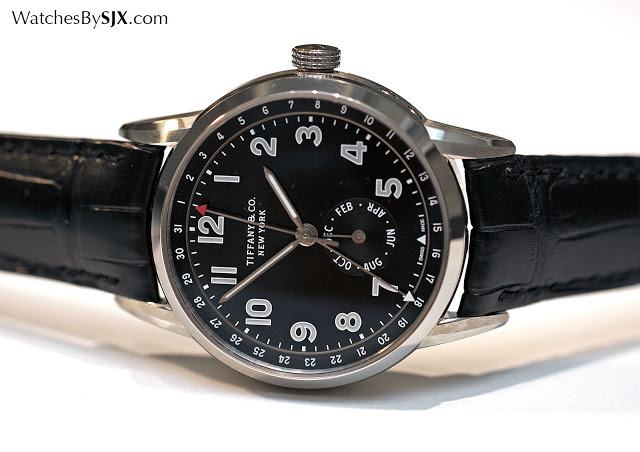 The CT60 is fashionably retro in style, being modelled on a wristwatch once owned by Franklin Delano Roosevelt and now in Tiffany’s museum. 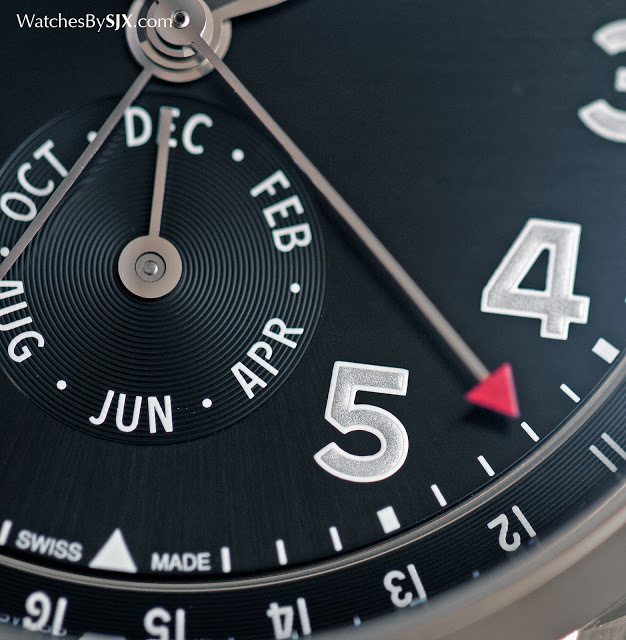 But the CT60 comprised mainly simple movements, until the top of the line calendar model received a subtle upgrade, becoming the CT60 Annual Calendar. The new CT60 Annual Calendar looks exactly like the initial model, but it’s a significant improvement. While the earlier, triple calendar model was a simple calendar, requiring adjustment at the end of every month that doesn’t have 31 days, the Annual Calendar takes all that (both 30 and 31 day months) into account. Instead, the annual calendar mechanism needs setting just once a year in February, when the month is 28 or 29 days long. Calendar mechanism aside, the rest of the watch is exactly the same. 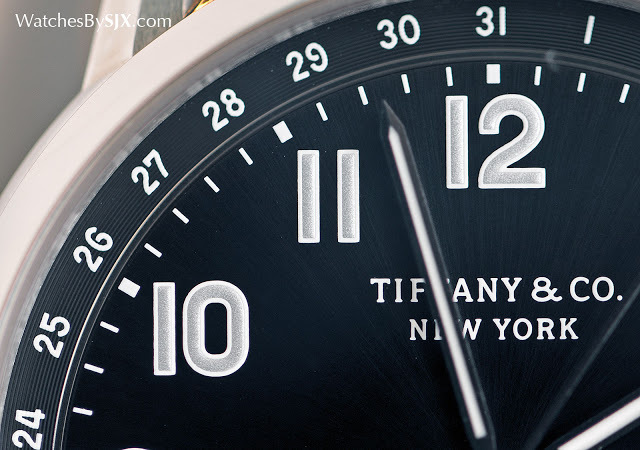 The dial sticks to the look inspired by F.D.R.’s wristwatch, with large Arabic numerals and pencil-shaped hands. 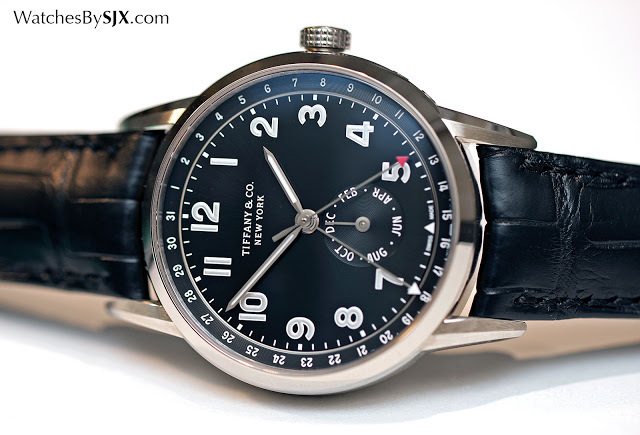 Shown here is the Asia Edition annual calendar with a black dial, though variants are available in other regions, like a dark grey dial for the U.S.A. Interestingly, the black dial Asia edition faintly resembles the Patek Philippe ref. 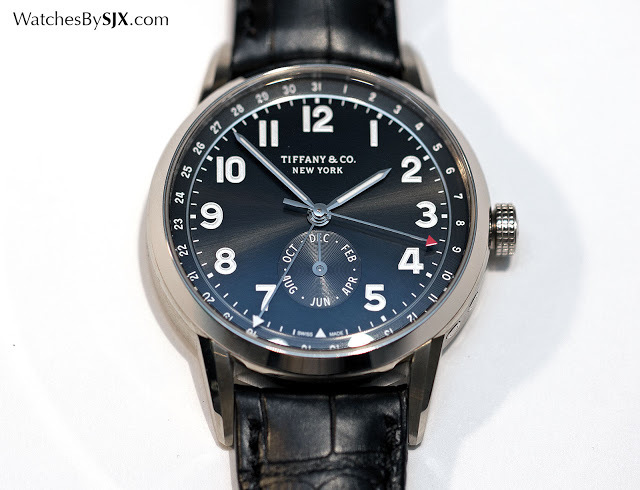 5293G limited edition made for Tiffany’s in 2012. The F.D.R. 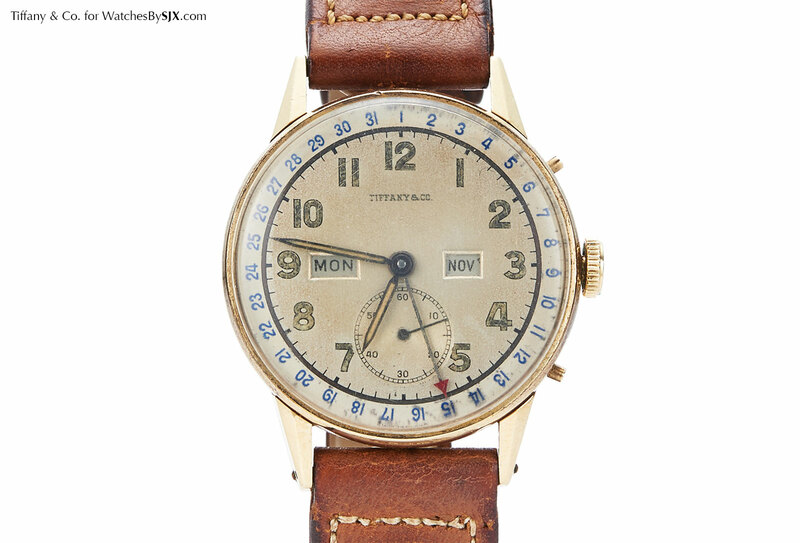 wristwatch made by Movado and sold by Tiffany & Co. 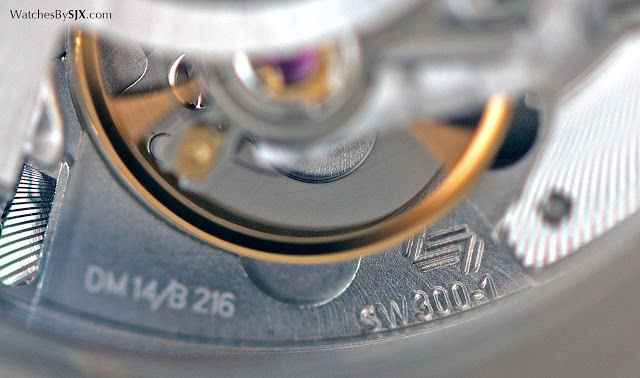 Though functional in appearance, the dial has details that reveal themselves up close. It’s finished with a sunburst graining, while the numerals are made of lacquer impregnated with silver powder. 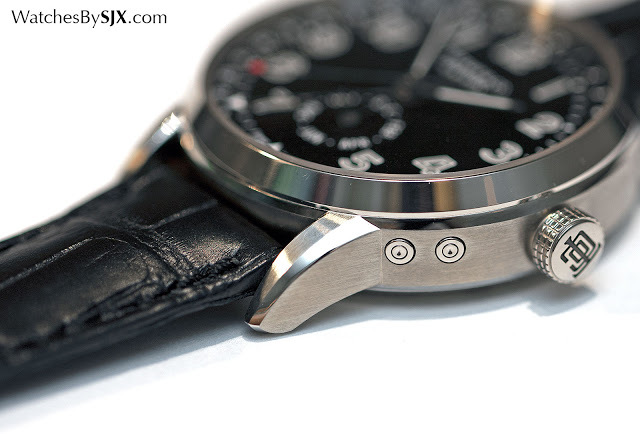 The case is white gold, with a 40 mm diameter. Though it’s now an annual, instead of simple, calendar, the case height remains the same. 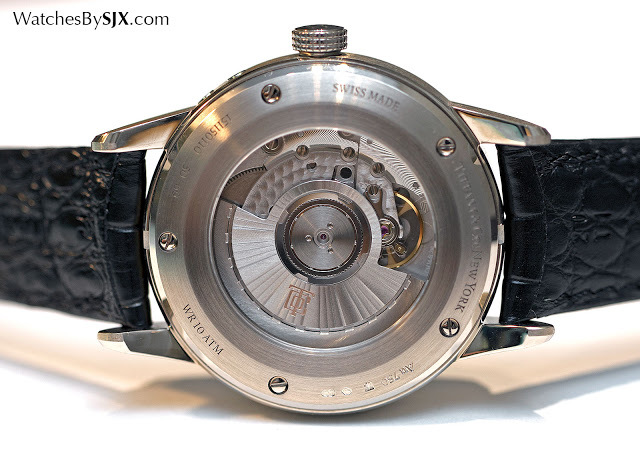 Inside the movement is a robust and no-frills Sellita base movement, topped by an annual calendar mechanism made by complications specialist Dubois Depraz. Sold only at Tiffany’s stores in Asia, the CT60 Annual Calendar is a limited edition of 60 pieces with a price of S$28,700 in Singapore. That’s equivalent to US$20,500, and prices in other countries will be similar.